Welcome to the new Craven Funerals website. We've created this new site to provide you with information and advice. We hope you find it useful. During difficult times, you need the reassurance of experience, expertise and empathy. 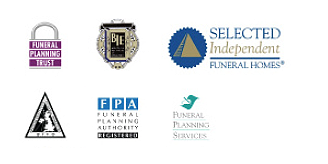 And you can rely on all that here at Craven, the largest independent funeral providers in Merseyside and North Cheshire. Walter Craven began arranging funerals in the early 1920’s and his great-grandson, Charles Craven, now heads our dedicated team who have helped build our reputation for excellence. Our wide choice of services are tailored to your precise needs and wishes – from a basic funeral costing just £695.00 to something more elaborate; plus the unique small touches that matter most. Craven’s award-winning funeral pre-payment plans can provide you with the caring and sensible way to help ease future financial worries for your family. We’re always here for you. In fact, there’s someone at the end of the telephone 24 hours a day, seven days a week.